As our last post of the year 2017, I would like to share with our readers once again this photo from our always popular Fostering Young Vocations series, of four boys dressed for Halloween as Saints of the Order of Preachers, Dominic, Albert the Great, Thomas Aquinas and Martin de Porres. 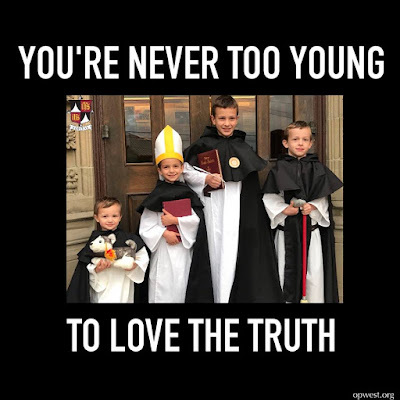 For me, this photo, and the caption put on it by the Dominican Province of the Holy Name of Jesus, (by whose courtesy we published it in November) sums up all the good things happening in the Church today: the continual rediscovery of the life of the Faith, and the traditions that enshrine it for every new generation. As we enter the New Year, it behooves us to remember that every age in the Church’s life gives us many reasons to pray and work for reform and renewal, but also many reasons for hope and joy. I also want to mention this photo from a recent photopost of Rorate Masses, which are decidedly one of the features of the Catholic liturgical tradition that brings out the best and most beautiful. 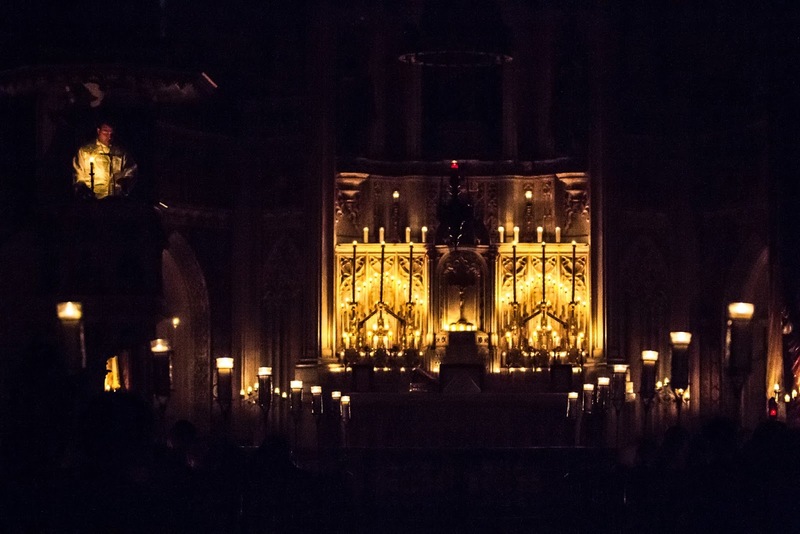 The photographer captured this very impressive shot at the Fraternity of St Peter’s church in Baltimore, the shrine of St Alphonsus; in the upper left part, the priest in the pulpit almost looks like he’s floating in the darkness. The name of the photographer was not sent in with the picture; whoever you are, very nice work indeed!